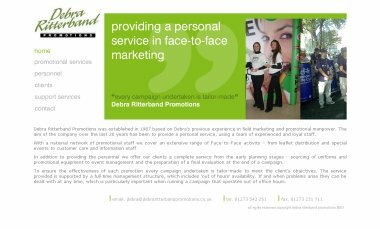 Debra Ritterband Promotions is a respected promotional agency. Despite being well known as a result of working with large organisations such as Transport for London and the NHS, their website was impossible to find using any search engine. Even searches for ‘Debra Ritterband’, a fairly distinctive name, failed to produce any results. They asked Lab 99 Web Design to work out why the search engines were ignoring them. The website is new and hasn‘t yet been indexed by the search engines — but this website was more than a year old. 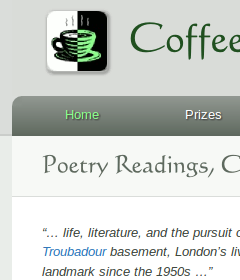 The website has been blacklisted — something that very rarely happens to respectable websites. The website is badly constructed and doesn’t allow the search engines to explore it. The last of these was the most likely in this case. We looked at the code under the surface, and sure enough, most of the website was simply invisible to search engines. 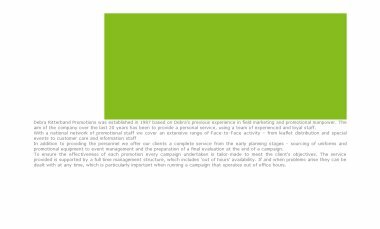 A brief technical note — there is almost always more than one way to achieve a particular visual effect on a web page. Different methods may produce results which look identical to sighted human visitors, but these results are normally anything but identical to search engines. The most important elements of this page are the main heading and the navigation links at the top left. The text in these elements was in the form of graphic images, which were the root of the problem. Not only could the search engines not find any of the links to the other pages, they couldn’t even see the words ‘Debra Ritterband Promotions’, and so were unable to work out what the page was about. Lab 99 reconstructed the entire website using correct HTML and CSS code. We also incorporated keywords and headings in appropriate places to indicate to the search engines the importance of various parts of the text. Finally, to improve the experience for human visitors, we tweaked the layout and created a more upmarket slide show. Search engines and humans examine web pages in very different ways. In this case, a talented graphic designer with insufficient technical knowledge constructed a website that looked good to humans but was almost invisible to search engines. 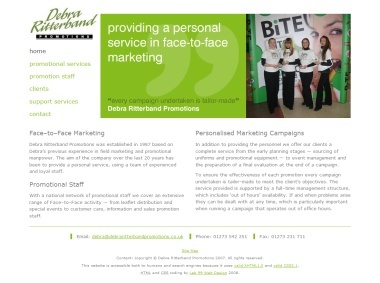 Debra Ritterband Promotions is now officially recognised by Google! Contact us now to see what we can do for your website.